In 1995, the Graduate School was formally opened in response to an urgent call to prepare highly qualified and competent faculty in teaching and management in the various fields of professional practice. On July 18, 1996, the Master of Arts in Teaching (MAT) was granted Government Recognition No. 029 since 1997 which was followed by the approval of Master of Arts in Education on May 5, 1997. The Master of Science in Nursing was given government recognition No. 208. 2000 on July 6. 2000. The Commission on Higher Education has placed Sacred Heart College in deregulated status for five years from 2003-2008. On March 14 - 15 2004, the Graduate School - Master of Arts in Education program was visited by the Philippine Accredting Association of Schools, Colleges and Universities (PAASCU) for preliminary survey and received its Candidate Status from Federation of Accrediting Agencies of the Philippines on May 12, 2014. To take leadership in the development of highly professional, competent and compassionate teaching force and clinical practitioners, imbued with Christian and Vincentian values and to foster individual, societal and global welfare. To strengthen the Graduate students’ research capabilities by contributing researches which are locally responsive, technologically directed and globally competitive thereby improving the quality of lives of people, especially those living in poverty situation. To produce graduate who are inner-directed, environmentally caring, global Vincentian leaders and advocates of people who are poor. Why enroll at SHC Graduate School? SHC Graduate School produces men and women of character, imbued with the spirit of St. Vincent de Paul and St. Louise de Marillac, (the founders of the Daughters of Charity) Hermana Fausta Labrador (SHC Founder declared Local Hero, Ina ng Lucena, City Ordinance No. 2377s.2009 who are “maka-Diyos” (pro-God), “maka-buhay” (pro-Life), “maka-tao” (pro- people), “maka-dukha”(pro-poor),maka-bayan (pro-country), and maka-kalikasan (pro-envronment). SHC Graduate School continues to pursue quality Christian and Vincentian education. SHC Graduate School enables its student to offer significant research studies and to engage in community extension programs that contribute to societal change. 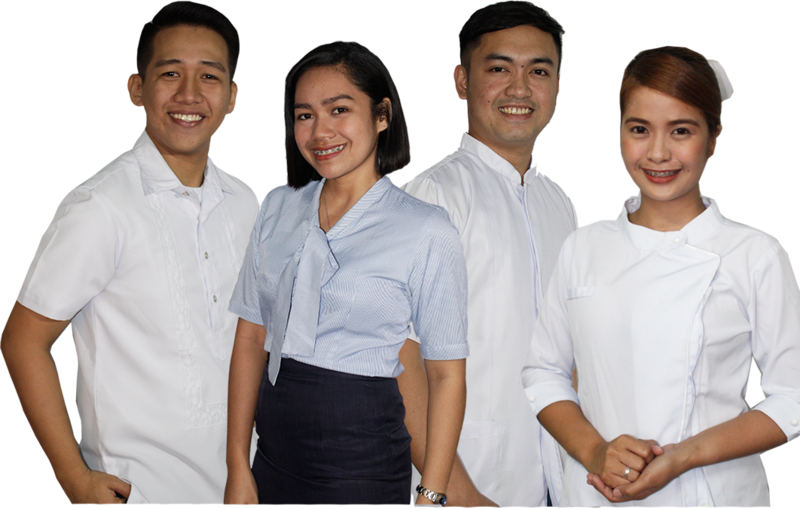 SHC Graduate School challenges its graduates to live and share with others the institutional core values of advocacy for persons in poverty situation, commitment to Vincentian excellence, compassionate service, co-resposibility, respect for human dignity, simplicity, social commitment and solidarity. SHC Graduate School provides total life giving experiences because it has competent faculty, qualified personnel, adequate facilities and an environment truly conductive to learning.